What is it about Israel that makes it the darling of the West and a magnet for other people’s money? Israel bought four German-made corvette warships on Monday to help secure its Mediterranean gas rigs, with Berlin heavily subsidizing the deal, Israel’s Defence Ministry said on Monday.The ships, worth 430 million euros ($480 million), will be built by Thyssen Krupp and delivered within five years, providing significantly more fire power to Israel’s navy. The German government will pay 115 million euros towards the cost. As part of its atonement for the Nazi Holocaust, Germany is committed to Israel’s security and has often helped pay in the past for the cost of military equipment such as submarines. Thyssen Krupp also committed to buy 700 million shekels ($181 million) worth of Israeli goods under the contract. “The deal signed today is an event of the utmost significance that dramatically upgrades the navy’s capabilities of defending the State of Israel’s strategic sites in the gas realm,” Defence Ministry director-general Dan Harel said. Israel’s economy would also be buoyed, he added. Israel has huge and mostly untapped gas fields that cover some 23,000 square km (9,000 square miles) of sea — more than Israel’s territory on land. Israeli planners see possible sea-borne or rocket threats to gas facilities from Hezbollah guerrillas in Lebanon and Hamas militants in the Gaza Strip, making expanding the naval presence a priority for them. 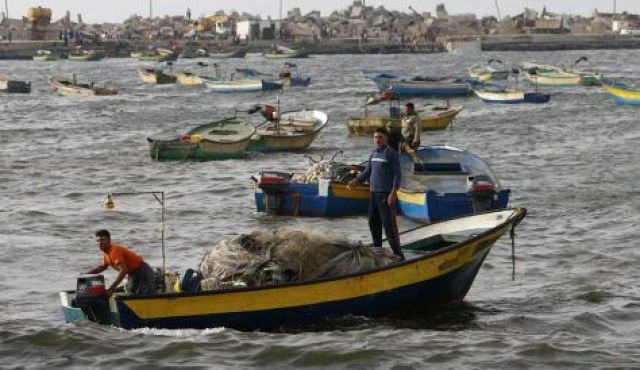 This explains why Gaza’s fishermen are routinely targeted.